It's a collection of all Yuzuru Hanyu competition commentaries, with a focus on highlighting the many excellent non-English commentaries (Max & Angelo? Russian Eurosport? Oh yes :)) available, all kindly translated by members of the community. This is a project started mid of 16-17 season and is constantly a work-in-progress. I'll be keeping track, but this is an open-edit document :) Meaning people should feel free to contribute new video sources, new translations, and updates. For the most part, the color formatting is automatic and will appear as you type in the relevant information. Feel free to PM me if you have any questions regarding translations/commentaries/how to work the spreadsheet! When the new season starts, we'll have threads dedicated to each competition and commentaries can be posted there. For now, this thread is a good place to collect any translations of commentaries from previous competitions. Deleted., Subs are still available on the net. Gr: Now all your attention to the ice, please – best of the best. Yuzuru Hanyu from Japan, World Champion and Olympic Champion, is only the 5th after the SP, but it’s the FP which is decisive. The music is by Joe Hisaishi for this season for Hanyu. Let’s start. Kl: An immaculately clean 4Lo! 4S. Gr: He flies somewhere to the skies! Kl: I think this needs no comments. Any person, even if he/she is no expert in FS, understands this was a genius skating. Everything was done ideally – there’s nothing to commentate here, everything was the highest level. And we along with the whole audience give him a standing ovation. Gr: Yes, it has rained and is continuing to rain… Hanyu can give one Pooh bear a day to charities and he’ll have enough to last him three years. Love Japanese anime? You’ll have a golden collection from the various competitions of World Championship dimension… Four quads, each one of perfect quality – a loop, 2 salchows and a toe-loop – that’s what Yuzuru Hanyu jumped in his LP. Brian Orser gave him such hugs. That was very touching and just what Yuzuru deserved. No, world records weren’t over with Evgenia Medvedeva’s skate – what Hanyu has shown here – I won’t use too many adjectives here like divine – but it was brilliant. So now we just remember and try to understand the figures which will come up on the boards now. He overcomes his own record by 3.5 points – that’s a new world record. Not the accumulated score, but he’s best in the LP score. 223.20. 321.50. It’s the first time I’ve seen a Hanyu record in the arena itself. A historic competition. - The public has been looking forward to his performance. - He usually skates not first, but closer to the end of the event – as the last or penultimate skater in the final group. Usually, he’s the one leading the field. But he’s currently fifth now. - He does 4Lo, pristine and clean. He does 4S, also clean. - I think it’s important now that he keeps his emotions under control during his step sequence. Now I think you can see he’s restraining himself, isn’t he? - … well, later he has two more quads planned. - Now he has a crucial sequence of four jumps coming. He’s trying to control his emotions… There he goes! - He does salchow… toeloop! - Brilliant! He doesn’t let himself go yet as he’s got 4T coming. Come on, Yuzuru, hold it! Go!!! Well done!!! - He does it. Clean. - He can’t relax now either. Two triple axels. - He does it. With a 2T with his arms aloft. - And he doesn’t do it with his trademark entry, but with a conventional one. He doesn’t risk it, he’s skating safe. - Keep up! Atta boy! What a fighter! (What determination)! 105.78 and he has four elements left… You’ve got the last jump left, Yuzuru! - He does the triple clean. Well, you can’t hear the music. He’s done what he was planning to. - (laughs in disbelief) We haven’t seen such Hanyu for a very long time! - Yes! He’s been wound up! - Yes, he’s been moved. - Well, he’s got an incredible ability to command his energy flow for 4 minutes and a half and not to control every single aspect of this most difficult programme in such a way! He’s just stunning! - I remember Evgeny Plushenko at this moment - I told you: Don’t make Evgeny Plushenko, because that made him skate just as perfectly, he’d do everything up to the hilt. - They can, but after such knock downs and knock outs people don’t get up. - Because keeping this string so taut for 4.5 minutes?! - Ideal! Everywhere. He didn’t slop a single step! He was calm… usually he gets emotional in his step sequence. No, this time it was just that - step after step, let them go, he has lots of jumps coming. He showed us the most difficult layout. In the second half he has 4S3T, 4T, 3A2T, 3A-1/2-3S – that’s a crazy layout. Why does he do it in the second half? Because the BV is multiplied by 1.1, so it gives more points. Oh, this 22-year old from Sendai, figure skating genius! Brian Orser, Tracey Wilson, the LP choreographer Shay Lynn Bourne, and a large group of unnamed people… So how much will he get? 225? 230? I’m afraid to guess. Now he’ll get an enormous amount of top marks! Well, he didn’t make it to 225 – 223.20. OH MY GOD (In quasi English). A new world record. 321.59. Remember these mark – 321.59. This is what the standard will be for next 40 minutes. I was going to ask where to post the translations of commentaries other than those of Worlds 2017. Thank you for creating this thread! Let me repost 2011 4CC SP here. EDIT: I also updated the spreadsheet. Announcer: Chizuru Kobayashi. She is a freelance announcer who has been working for figure skating programs on J SPORTS for years. Commentator: Yutaka Higuchi. Former single skater. Two-time Olympian and three-time national champion. Now coaching in Tokyo. He was a TCC member from 1968 to 1971 and helped Hanyu to transfer to TCC in 2012. Chizuru: Next up is the reigning World Junior Champion, a Japanese skater you know pretty well. Chizuru: Here comes Yuzuru Hanyu. He is 16 years old, and this is his first senior championships. Chizuru: He participated in two Grand Prix events and placed 4th in NHK Trophy and 7th in Rostelecom Cup. Chizuru: He said his senior debut year has been very inspiring. Seeing Patrick Chan’s skating was especially a huge inspiration for him. Yutaka: I know. Patrick is one of the fascinating skaters. Chizuru: The music is “White Legend,” a transcribed version of Swan Lake. Yutaka: Triple Axel. It was beautiful. Yutaka: 3Lz-3T combination. The first jump looked slightly off-axis but he added the second jump with no problem. Yutaka: His body is still very thin and so is his axis. It probably makes it easier for him to nail his jumps. Yutaka: Triple Flip. It was a bit too close to the fence. Yutaka: Straight line step sequence. Yutaka: Butterfly into Flying Camel Spin. He entered from a difficult position. He is very flexible for a man, so he can do a doughnut spin. It will surely be taken as a high level spin. Chizuru: It was Yuzuru Hanyu, 16-year-old from Japan. Yutaka: He skated very well, didn’t he? Yutaka: The Flip from connecting steps got too close to the fence so he might have been like “oops!” and unable to control his landing, but other than that, he did quite well. Chizuru: This is his first 4CC. Yutaka: A promising young skater. Nanami Abe: (To Hanyu) That was a good save. Yutaka: This first jump was slightly off axis but he regained his balance in his second jump. Yutaka: He is tenacious, isn’t he? Yutaka: Many skaters would change it to a double jump. Yutaka: But he hung on and managed to add a triple jump which had a straight axis. I think it’s amazing. Yutaka: This is the jump he got too close to the fence. Yutaka: He’s trying to express his emotions. He’s a very sensitive skater. He’ll be a good skater through gaining experience at senior level. Chizuru: He makes us look forward to his future. Yuzuru Hanyu: (To the audience) Thank you so much! Chizuru: Probably he himself wants to learn from everything to be a strong skater. Chizuru: He placed 4th in Japanese Nationals. Chizuru: His scores will be announced. It’s 76.43. He looks surprised. 40.76 (in TES) and 35.67 (in PCS). He is currently in 3rd place. Chizuru: Daisuke Takahashi is currently in 1st place and Jeremy Abbott is in 2nd place. Yuzuru Hanyu is in 3rd place. Okay I'll repost my translations here. The commentators are, as always on french national TV (France Televison), the three musketeers of figure skating comment, those whose lyrical enthusiasm can only match their tendency to talk ALL F...G THE TIME, the very unique Nelson Montfort (NM), Annick Dumont (AD) and Philippe Candeloro (PD). For those who don't know him, Candeloro is a former french skater from back in the days when figure skating was popular in France. He won bronze in Lillehammer and Nagano and is pretty famous here. The broadcast was back just for the scores announcement – which they commented live – and they broadcasted Yuzuru's program just after. Sadly, they already knew the scores so there was less spontaneity than usual. 0:40 (Laurent, the Host) I think this is going to be quite an evening, don't you agree, Nelson ? AD : he's just (she's more or less speachless :) )... we're waiting for the scores-OH LA LAAA !!! AD & NM : IT'S A WORLD RECORD !!!!! A WORLD RECORD !!!! PD (hard to hear because the other two are.so.loud) : It's a masterpiece. NM : YUZURU HANYU HAS JUST... IT'S INCREDIBLE !!! AD : IT'S THE FIRST TIME A SCORE IS OVER 100 !!! PD : … on a short program. AD&NM : yes, on a short program. AD : It's incredible ! He did a quadruple-triple combination... I swear, he skated faster when he landed the triple than when he entered the quad. He manages to GAIN speed during the jumps. 2:10 (Host) Now we're going to watch this absolutely magnificient program. NM : Yuzuru Hanyu is entering in the rink for the Empire of the Rising Sun. Yuzuru Hanyu, who is a skater on the rise, a dainty and delicate skater, who is both a tremendous technician and an absolutely wonderful artist. And here it begins for the cheerful Japanese, with his is oh-so-endearing personality. PC: You're scaring me, Nelson. You're saying he is in on the rise, but he is already at the maximum, and even beyond everybody else. NM: Yeah, in any case we are now watching his program. PC: This skater may do a quintuple jump one day, because it looks like he could do it (Quints ??? whaaaat Philippe FFS !!! ). NM: Gary Moore, the Parisian Walkways, what a marvelous theme – which you know well (I guess he's talking to PC). PC: It is a very good musical choice… the rythm of this program is perfect for the first part of an event with such high stakes as the Olympics Games. Look at this, right now, the quad toe loop. PC: He's quite happy that the jump is clean, and he's celebrating. (1:45) and now normally, he's got an innovative preparation for the triple axel, he's the only one to do it… Here, without any preparation. NM: A little dance step, and then... triple axel ! PC: Exactly, and it earns many points regarding a percentage that Annick will perhaps be able to explain. At 2:33 Nelson Montfort specifies something for French people. Because AD has pronounced “Components” in English, while in French, we translate “components” by “composantes” (different pronunciation). But she used the English word so it can disturb French who don’t know English. (2:40) AD: Yeah and “Components” regroup five criteria of the second mark which are transitions, the choreography, the interpretation, the skating skills (the speed, the lightness of the skating) and the performance/execution. This system tries to make more credible what we (in France) would call “creativity”. NM: So, Philippe are you ready for the test? (after this skating lesson by Annick Dumont ). PC: He really skated very well this program, it was a very good choice (of music) and his order of passage has certainly made him more confident and disconcerted Patrick Chan, who has not been perfect but still stayed focused. NM: So, we've just witnessed the program which is, at the moment, the best short program in all skating History, at least since the new ISU judging system has been adopted, ten years ago. Since Yuzuru Hanyu scored more than 100 points. AD : He's had 101.45 points. He's just beaten his own record btw, since he was already the current world record holder. But he hadn't reached the 100 points bar until now, he « only » had 98-99 points.
. As enthusiastic as ever, and even more ! NM: What a great afternoon, because what we are watching now and are going to watch in the 20 minutes to come is going to be crazy, and I mean it. Because today there is a real chance of medal, bronze or even silver, for one or two french skaters. We won't speculate more about this, that won’t be easy but it's still possible. Now, Yuzuru Hanyu, young Japanese contender, who eliminated Oda at Japan Championship, which is quite an achievement in itself (ahem, Oda didn't compete in 2011 nationals, but, well). He was slightly disappointing yesterday (in the short program), but he could be doing great this afternoon. PC: So, is he going to stay as gentle as a lamb? (It is a (bad) pun about the idiom « être doux comme un agneau » (to be as gentle as a lamb). PC loves doing jokes because lamb=agneau in French and the pronunciation of “agneau” is almost the same as the one “Hanyu”, in french, that is, where we don't prononounce the "h"). We are going to discover that now … this young skater has lots of qualities, look at this quad… it's clean. AD: Wow … OHLALALALA, WOW!!! PC: It's already the fifth quad of the afternoon … (1:19) here the triple axel, with an outstanding preparation, a great eagle just before. It is a very strong start … (1:33) triple flip, no problem, now let's go on (the tone he uses shows that he is in fact ironising about how easy it looks, while it is not easy at all). PC: Yes because he (Hanyu) may be dangerous -(NM : VERY dangerous) – for Florent. (2:15) PC: Wow triple flip, look, what a flexion work ! AD: Oh …What a … what a sheer will … what a wheer will to hold this jump !!! PC: Normally, this jump should have resulted in a fall on the ground. AD: Of course, he didn’t put his weight where he should have at all ! NM: How did he succeed not to fall … I hope we will see better in slow motion. AD: It is sheer will. Just sheer will. (2:55, Yuzu falls) The three of them : NOOOOO !!! PC: Yes, yes, he toppled on the tip. NM: It wasn't even on a jump ! (3:09) AD+PC: … OooOOOOh triple axel, TRIPLE AXEL !!! …. PC : he goes on without a pause ! PC: As I said yesterday, I've done a few galas with him in Japan last July, he was already really very impressive. (3:24) here triple lutz, double toe loop, followed by another double toe loop… (3:48) perfect triple loop, see, this is an almost perfect program. AD: I think even him could not believe it. PC: I think his hand is injured, because of the way he looked at his hand when he went up after the fall. But the triple axel triple toe just after the fall was just fabulous… So now, (laughing) there's even more, look at this step sequence, he is a very very fast skater…. (4:47) he is quite light so he can hold the program perhaps a little bit longer, but we can feel he's becoming tired. (4:57) AD: Ohlala, he's given everything, he's absolutely exhausted. Absolutely exhausted. (5:10 (Biellman)) PC: and with spins out of the ordinary, in the men’s category. PC: I think his hand is injured. AD: I don’t know if it is his hand, or his ankle … I, I don’t know. PC: Look at how much he is sweating, it's impressive ! We haven't seen that for any other skater this afternoon. AD: I think he gave the best of himself, even beyond that. He may collapse before leaving the ice rink…. So many Japanese people in this rink. NM : The slow motion has begun, and we're very interested about it. AD : Yes. One turn, two turns, three turns, four turns. It's beautiful. Just beautiful. NM : I wish we could watch in slow motion this jump where he stood miraculously, you remember, Annick ? AD : Yes, it's not this one. This one is the triple axel – and he does it with a great eagle just before, let's just say that he makes it even more difficult. (the fall in slow mo) Oh ! He topples on the tip in the middle of a three-turn, in the middle of a counter rocker, to be more precise. And then just after, despite the fall, he goes on with a triple axel and that's particularly impressive. PC : Yes because a little fall like that looks like nothing but can distract a skater in less than two second. PC : Oh were it be me, I would have stopped the program right away and then gone to the infirmary ( ). I would have been to ER ! NM : I'm under the impression we won't see his spectacular save on the jump in slow mo. AD : (seeing Nanami Abe with teary eyes) Ooooh this is so moving. NM : So, normally Hanyu should take the lead or we don't understand anything anymore ! AD : Yes, I think so, of course, he should take the lead because... (the score appears) Ohlalalalalala what a lead he has !!! 251 points in total. PD : Wow it's very high, thankfully he's not in the last group, as you said before Nelson, but he's dangerous, very dangerous for our french skaters. NM : what is happening is dangerous for Florent, and dangerous for Joubert too, but we recognize this amazing achievement. And here we see Daisuke Takahashi, his fellow japanese countryman, how lucky we are to see these backstage images. Florent's comments are interesting for me since he's r****d in 2016, and lived the begining of « the quad area », and of Yuzu's carreer (he was 5th in WC 2012 in Nice). And I'm particularly happy that Alban (also a former skater) seems enthralled, since he wasn't sold on H&L at all for the rest of the season and sounded disapointed in Yuzu's performance this year. That is, until Helsinki. Florent: (speaking about Javi) he must be really careful, because skating last after all these gentlemen, is really, really not easy (that turned out to be prophetic). And another one who's going to have to handle the pressure is the one we're seeing on our screens, Yuzuru Hanyu, the olympic champion. He's got a lot to gamble here. He's won the world title only once. He's incredible, but he's got a lot to lose today. Alban: It's true it's really incredible to think he's only won the title once, when you look at the high scores he can get. His World Records are pretty crazy, really much higher than any other, but at the same time he's often not been able to handle the pressure when he was close to get the gold. Alban: Yes of course, silver medals are great and all, but knowing Yuzuru Hanyu's talent you can't be happy with it. MrX : aaand it's beginning right now with the japanese skater Yuzuru Hanyu. Olympic champion in Sochi, World Champion in 2014, he's had to make do with the second place those last two years, behind Javier Fernandez. Yuzuru Hanyu, who was in 5th place after the Short Program, and presenting right now a free program on « Hope and Legacy », by Joe Hisaichi. MrX : Exceptional ! He's got everything ! MrX : Yuzuru Hanyu's got everything, including the mindset ! And it was not a given. Florent : wow wow wow ! MrX : What an equilibrium he's managed to find, between a really exceptional technique and a really successful artistic part. He's mind-boggling. Alban : A world record, it's gonna be a world record ! MrX : and he's already the record holder, as you know, of the short program, free program, and total score. MrX : what a pressure for the other skaters ! MrX : it's the most beautiful program of his career, and without a doubt one of the most beautiful programs in skating history. Alban : Oh yes ! And yet, we weren't really sold on the artistic side of this program in the beginning of the season, but when the level of the skating is this high, of course, he manages to charm us. Florent : Look at how high the quadruple salchow/triple toeloop is ! And here, the quadruple toeloop ! How masterful ! Alban : skating really goes into another dimension with those skaters. Florent : and that's where he is remarkable. Because HE's been the one pushing the limits of skating (those last years). Really. Alban : Yes, it's true that he's always been extremely ambitious, eventhough he could have had beautiful victories with only the two quadruples from back then, perhaps with adding a third one. But he goes on, he always wants to go one step further, to add new challenges, a new quadruple loop, a third, a fourth quadruple jump. Soon a fifth one, I imagine. Florent : I think that people in Japan must be overjoyed right now. And Shoma Uno hasn't even skated yet. MrX : he's already a superstar there. Florent : Are you ready ? Alban : 97 in Pcs, of course, the maximum is 100, we're not far from it. MrX : he improves his previous record by four points. And the total is 321.59 points ! MrX : the total score record is not yet beaten. His record is 330 points, during grand prix final in 2016 (it was 2015, but well, they shocked XD). And of course, he's now in the lead, with a large advance ! The commentators are called Jean Pagé and Alain Goldberg. I don't really know anything about them tbh, save from than their names – but they already loved Yuzu at Sochi, I remember their commentary very well (« quand il est bon, qu'est-ce qu'il est bon ! »;) ). I'll call them Alain and Jean. But what a remarkable skater. And he opens with the... quaDRUPLE LOOP ! C2: as if it was nothing. … Once again, as if it was nothing. Full of strength and lightness at the same time. And there he goes AGAIN with steps – supple, effortless. Up to now, it's perfect. And now we're halfway through the program. QuaDRUPLE SALCHOW !!! TRIPLE TOE-loop. There's not even a slight mistake. TRIPLE AXEL ! Double toe-loop. With the hands above the head. And he goes on. Never losing focus. INA BAUER ! Triple LUTZ !!! Camel spin ! Outside edge (I think). And now the sit spin, it's great art. Jean (Yes, he talks too... a bit): What an EXTRAORDINARY performance ! YUZURU HANYU ! The supporting crowd is bursting into applause. What an extraordinary performance, Alain. Alain: perfection on ice. Per-fec-tion . At a level, nobody before him has ever reached (he says that twice :) ). In spins, in steps, in jumps, in presentation. Everything was there. What a unique being. (images of the venue and his very emotive fans) And thinking he has to handle the pressure. How difficult it must be to ignore it. Jean: and he's being congratulated by Tracy Wilson too. And it's worth being watched again in slow motion ! Alain: it was... listen, I can't give you any commentary (as in : he's speechless). Jean: there wasn't any mistake ! It was absolutely magnificient. He's saying he didn't feel he had enough energy. (they laugh) Thank god ! Jean: it's his best score this season, he was at 206 this year. Of course he's first, but look at the total score ! 321,59. Yuzuru Hanyu ! Alain (still laughing incredulously): he's just taken the lead for the world champion title. A BIG lead. - Yuzuru Hanyu is on the ice. The Olympic Champion, the World Champion. Not the current one – last year he lost to Fernandez. Fernandez will skate after him, but they’re used to skating one after the other – they train together and skate together. Frederic Chopin, a beautiful programme. It was choreographed by one of the most creative choreographers, Geoffrey Buttle, who was also World Champion. - They’re alike with Buttle in something – a musical phrase and a turn of the head. Now it’s the turn of the arm. The harmony of soul and body. Now the spread eagle. Into a spread eagle from a quad. 4T3T. (clearing his throat) I think he’s repeating the NHK Trophy pattern. - His goal is to exceed his own achievements, isn’t it? - He’s never had such a goal. - (after Yuzuru had finished) Well, is it a standing ovation? It is! How can you help it! - We’re on our feet too! 56.66 – now it’s going to be 60! Is it – come on, computer, show us! 59.44 was the (previous) score, 61.59. We’re on the way to a new record, because Yuzuru Hanyu received 106.33 for his SP at NHK Trophy, surpassing his own previous achievement of 101.45 by nearly 5 points. Now his technical score is greater than his result at NHK by 2 points. There wasn’t a gap of two weeks, there wasn’t – I just don’t understand where they’ve kept him, what fridge in Canada Brian Orser kept him in to keep him in this fantastic form. I’m very curious what he does with them on his ice in Canada, Brian Orser! - I think he just takes them away from figure skating, then he releases them and they just enjoy it. - That’s why I started arguing with you during the skate – he’s never had a goal to break his own record. - He didn’t have it before now – he didn’t have a record. - I think yes, you can’t say he’s trying to surpass some results, he just skates for his own pleasure. - Look, there are two quads as a response to Boyang Jin: he starts with a 4S and then does 4T3T combination. - Exemplary exits! Please show us the exit from 3A, please! That was jaw-dropping – in the second half of the SP at that! There it is! Look – argh, Spanish cameramen didn’t show it until the very end, they get a D for that, they don’t understand the beauty of figure skating. But unfortunately, the time frame allotted for program slo-mo won’t fit all the masterpieces of Yuzuru Hanyu’s SP. - Oh, that’s who a wunderkind is! Not Boyang Jin, but this boy who turned 21 a few days ago. - And, Andrey, I’ll interrupt you, he always shows – give applause to my coach, not me! - He does! Well, come on, 108? I’ll take your bets, gentlemen! He had 106.33, I think the final result will be 108, maybe with something else. 110.95!!! - 110. There you are! - What you said… Now he’s got carried away and wants more… 110.95! - Now he starts breaking his own records! His own records! - He couldn’t break that record of his for such a long time! - He won’t just look at his competitors, he’ll compete with himself now. - Turning them into show people. - Or that, into show people. But so far Hanyu is the same Hanyu. - Sure, because it’s the same Yuzuru Hanyu who cheered and supported Javier Fernandez and showing in every way that he has to be Champion! And now he cries to him as always: Go, Javi! 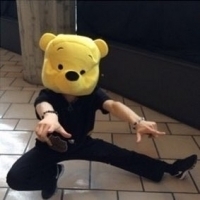 - … besides Brian Orser, Geoffrey Buttle and Shae-Lynn Bourne worked with Yuzuru Hanyu, and now it’s the turn for Yuzuru Hanyu’s FS, Seimei, who’s a well-known magician, philosopher, visionary who lived at the turn of the 1st and 2nd millennia AD. They filmed a movie in Japan about his life and Yuzuru Hanyu took the film music score for his FS. - The first quad – done. He has three planned with a combination. - One more quad – absolutely clean. He gets 13.36 – this with the 10.3 BV of this quad – that means once again the he gets +3 from all the judges for his execution. - (when Yuzu jumps his 4T3T) How well he does it! - That’s just madness! 120,72! - Of course, he didn’t have a goal of breaking his own record, but he’s not given any other option but do it. I don’t know… the progress in figure skating! - And there you have the skaters applauding on their feet! They understand very well the value of such a skate, the value of the whole program – they know how much it takes. - And this is the second such skate within two weeks! There were just two weeks between the first one and the second one! - That’s real figure skating! - Two week! I said it was only two weeks! - Where does he take such strength from? - Forget strength. Where does he take mood for it? - Forget mood, how about keeping his peak up (his form up or a functional toning up) in such a state for two weeks? - That’s just unbelievable. And when at NHK the judges gave him 118.87 technical score and 216 overall, they put themselves in a situation when the program is executed the same way, they can’t give him anything more…. - You know where it’s taking us? They’ll have to introduce +4 and -4! Now the judges have a right to mark within the range of +3 to -3, right? But with such a skating, guys, how do you grade Hanyu’s skating? +3 isn’t enough for Hanyu’s skating! - Yes, you’d need a five-mark range, +5. - What else can you do? Unbelievable, just unbelievable! - Now, you have the BV+3 and you can’t get anything more! - Now we have to add one more important thing – there was another historic achievement last night, apart from his improving his own record from 106.33 to 110.95. For one of his components, he got 10 – not separate 10s. How many 10s did he get? So there are nine judges, five components, so there are 45 marks, and I think he got 22 top 10 marks. But his performance component he got 10 from every judge! So the protocol shows 10! - Oh, I’m afraid to guess… whereabouts? - 220! We’ll get 220 now! - Two figure skaters, two friends – it’s so great! - (when Yuzu gets his 219.48) Well, they didn’t make it by so little! - And Orser is looking at it… but it’s another world record! The previous one was 216.07, now 219 – just very short of 220. But I think Orser is going to have a huge problem now, because now he has to… I realise that Hanyu is unique in his psychology, but he’s still human. Being a god is very hard psychologically. - He’s crying… that’s the tension! - He’s a one-off skater, just unique! I like it that he thanks his coach, thanks the audience, he’s so open, he’s got childlike openness. Orser says that he’s just a kid who loves playing with figure skating and is great at it. - It’s not just a game when you break WR one after another. - I think they (Yuzu and Javi) help each other! - They do, the fact they’re friends and rivals provide them with freedom to skate. - And – that’ll sound idiotic – they’re just good guys! They live well, they train well and they have a right motivation. I think Orser plays a huge role in it – he know to motivate them in a right way for competitions. He was a top athlete himself, so he went through it himself and he knows it. - As for Yuzuru Hanyu, you can’t find enough adjectives to describe him. - Hanyu? Well, not like back in 1991, during the Russian coup d’etat. (Something only the Russians would remember perhaps – when there was an attempt of coup d’etat in August 1991 – and all you could watch on TV those days was Swan Lake. It created an ominous and ambiguous aura around Tchaikovsky’s ballet – and changed the attitudes towards it). - Now we watch this masterpiece of Hanyu’s – the masterpiece called Seimei, a well-known Japanese character, magician, visionary, who lived at the turn of the 1st and 2nd millennia. Seimei, a film soundtrack about the well-known Japanesse wise man. And this is the free program for which Yuzuru Hanyu received 216.07 two weeks ago at NHK Trophy. No one had gone beyond 200 before that, Patrick Chan’s record was 196, Hanyu surpassed that record by 20 points by getting 216, and now he’ll surpass his own result. - Such jumps get +3 GOE from all the judges. Every judge shows that this is the excellence in executing 4T. - A 4T3T combination in the middle of the program. - This is a kind of magic, it’s just a miracle, something mystical – a magic of Seimei the great and enigmatic wise man on the ice! - I’ve just paid attention to one thing – never saw it during the completion skates – how much gloves matter, the shape of the gloves, they’re wedge-shaped, and they also emphasise the choreography – he unbends his fingers, one, two, and look how they add up to the whole effect. - And that glare! The glare he skated with! The one he did his choreographic sequence at the end of the program – that’s just incredible. Yuzuru Hanyu, a 21 year old genius! He got 120 for technical side of the skate and 219,48 overall. Will he get 220 – he will, as he can improve some things, and I think he can! This is the result of the men’s completion. … Kovtun comes 4th so far, but let’s wait – we saw how Yuzuru Hanyu skated at his first event, which was Skate Canada. Hanyu had a horrible SP there – he only got 28 points of technical score. He lost nearly all the elements, and he hadn’t received so little for his technical score ever since he was a little kid – only 28 points. But now it’s Japan and weeks have gone by – AND he’s Olympic Champion and World Champion. Frederic Chopin. He isn’t doing much, but you can’t take your eyes off him! Oh, the way he kept his balance! He fought hard for it – there was a lean on his Salchow, but he was able to pull out of it. Clean! Two toe-loops – 4-3! Very clean! He gets a lot of GOE for this combo… 28! He’s hardly behind Boyang Jin’s technical score accumulation pattern, but he’s going to get higher PCS. 3A from such a difficult entry. He was the first one to execute 3A with such an entry, when he doesn’t follow the classical pattern of going into it on his right foot and then jumping off the left foot. But there’s a little trick there he’s using, he helps himself a bit with his toepick. As a rule at the end of the program they have a step sequence. … like a samurai! Not like it was Chopin! … Yes, like Chopin! As if he were famous pianist or composer Frederic Chopin. I said, not like it was Chopin! With a glare killing his rivals! Look, 59.07! Well, he might go over 100. There’s one, but it’s less than a quarter of a rotation! It’s less than a quarter, that’s right. Let it be half a quarter. Now they’re showing us his quad Toeloop, let’s look carefully. I want to see his 3A – he does it so gracefully and so cunningly. This one’s also clean, and this (about 3T)? It’s also clean. He’s such a fantastic skater – he’s got flexibility, extension, lightness, musicality, delicate, yet powerful skating… Look here, I think he helps himself with his toepick? … the right way is to jump off the toepick. An excellent skate from the Olympic Champion. … and in his glare! “Get back in line for now!”, and you see why – this shows the progress in figure skating. Well, if he gets 106 now, what score should they give him at the World Championship? He has to skate that well there and the judges will be different. There will be a different skate there, and it’s not soon. Well, I think if Chan sees this, I think he’s incapable of speaking now! - Now we’ll wait for Yuzuru Hanyu. If you saw his glare, can you imagine what we’re going to see? Well, finally, dear viewers, here we are – it could be a grand close to the evening. What will Hanyu show us – will it be a great close or a so-so close? In 2010, five years ago, this 20-year old – then 15 year-old – Japanese skater won the Junior World Championship, he didn’t get to the World Team first year he was senior, this is his fifth season. He was the third in his first season (in the WT), then he came fourth, then he won the Olympic Games and the World Championship, last year he lost the World Championship to his friend and training buddy, Javier Fernandez. Lets see what shape Hanyu is in today. After all, it’s Japan, it’s Nagano. He lost the Free Skate at Skate Canada to Chan, who had a stunning skate. - A quad, absolutely clean! - Quad Salchow, a school variant, clean! Quad Toeloop, clean. And he has a very good speed of skating, excellent edge work. Triple Flip. - One more quad toeloop and a triple toeloop? Does that make three quads? - And mind you, they’re all brilliantly rotated! - 3A… oh, what a stunning combination – 3A and a 2T just after that with his arms aloft. - Another 3A… and 3Sal, how great! What a combination! - I’m waiting in awe for him to finish… I'm terrifed what we are going to see now! - … just to enjoy it. I think you did enjoy it! - How he… it’s difficult to find a correct word – performed? Fought? Put his soul in it? It looked so easy as if he could skate 10 minutes more! - Well, he couldn't – he gave it all! Look at his face, look at the way he’s breathing! To be capable of performing to the best of your abilities for 4 and a half minutes just when you need it – up to the point of complete exhaustion! - He pulled himself together like that in his own homeland! I think they’ll put up a monument for him in Japan! - Yes, he lived a thousand years ago, he was very famous… that’s why this music is full of energy, subtexts – Seimei’s personality had to be very strong and powerful, and Yuzuru Hanyu is as strong a personality as that! On January (sic!) 7th he’ll be 21. - Is there little of it? - It’s not that obvious, but it’s everywhere! - He did everything! Look at the way he jumped! You know, 118,59 we saw at the end of the skate are scary, because yesterday he received 106.33 (and 101.45 was a WR before), now he already has a record in the technical score, and now the judges will shower him in the component score, and I’m scared to think about the score. The previous record was Patrick Chan’s and it was 196,33 if I’m not mistaken. What score he’s going to get now is just frightening. But he did everything immaculately – look, 4T – in the second half of the program, you see? - Clean! And a triple – also clean! - Yes, rigid springiness! He’s a stunning talent, Yuzuru Hanyu, a university student, a modest guy, but his modesty conceals loads of ambition and drive and desire to win! But he knows how to rejoice – he was happy for his friend Javier Fernandez when the latter beat him at the last World Championship! He was happy because he knew it was just, Fernandez deserved to be Champion. I think he’s a greater idol in Japan than Daisuke Takahashi who was worshipped in the previous years. Now he’s applauding and bowing to Brian Orser! - And the good manners and the good upbringing! - 196,75 is Patrick Chan’s record in the free skate. No one has ever gone beyond 200. - Will it go beyond 200? - 216!!! I’ve also got my head between my hands now like he has – 216!!! 322!!! - And what is next? 400? 500? - No one has ever hit 300 – Chan’s record was 295! 322! 216! I think Orser is going to start speaking Japanese now – and it won’t surprise as much as this score does! Guys, this is World Championship, it’s just… 322,4! - Forget ranking, this is a world record which was unimaginable. It’s just as if Bob Beamon leaped his crazy long jump… Do they understand what they’re doing – and that Hanyu may not bother skating from now on? On the one hand, it’s a great triumph, on the other hand, it’s a great test for the psychologies of the people we can see on our screens. 322! I can understand if it were World Championship, but this is just an ordinary Grand Prix event! Though it was a brilliant skate, of course, I can see that he received 12 top 10 marks in the component score. … Yuzuru Hanyu from Japan, Junior World Champion last season, Junior Grand Prix Champion. Music by Pablo de Sarasate with an unpronounceable title. Zigeunerweisen. Well, clearly Pablo de Sarasate has absolutely drained the Japanese skater, it has! He skated last 40 seconds of his program with his mouth open with his tongue nearly lolling out and having difficulty breathing. But well done, Yuzuru Hanyu, anyway! He did everything his coach Nanami Abe told him to, he was very musical and good overall! But the most important thing is the thing he started with, great for a junior! There it is, 4T. Great! Then he fought hard for the 3A exit. Then he started skating in a more relaxed manner, there was a musical rest before another 3A in combination with 3T. He executed nearly all his planned layout, apart from one jump, on the whole, he was good, worked hard, but his musicality and everything he does looks trained and introspective, so he has trouble reaching out for the audience (not that he has trouble here, the audience here know him and love him and he gets a lot of support here). I thought that he wasn’t skating that much for the audience. But that’ll go – given his age, how old is he? He was born in 1994, he’ll turn 16 in December, so the most interesting and expressive years are still ahead for him, he might well start skating as well as Takahashi. Takahashi didn’t execute such difficulty at his age. 138 points, of course, he isn’t losing to anyone at this point, and he’s ahead of Mura by 16 points.